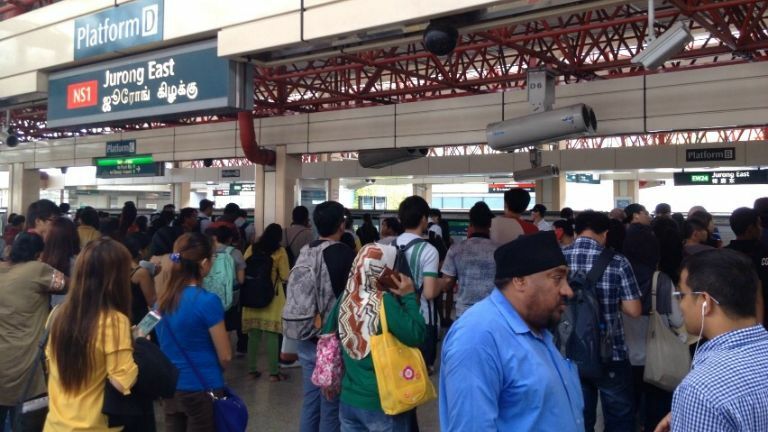 Yesterday, in yet another ‘track fault’ incident, hordes of commuters waiting to board trains along the East-West line found themselves stranded on train station platforms — during the rush hour. But in a curious twist of fate, what happened after that was not the usual flood of complaints that took Twitter by storm. Instead, Singaporeans started tweeting with the hashtag #SMRTmovies, making light of the situation with a selection of puns based on both classic and newer movie titles. 1. Because waiting an hour for the train really does feel like a lifetime. 2. Our trains didn’t just break down once, did they? 3. Go on, blame it on the “track fault”, like we always do. 4. This movie was made to explain our plight. 6. Irritation might be an understatement.